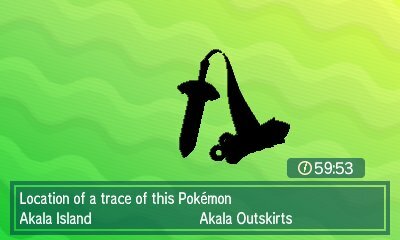 The QR Scanner is a new feature in Pokémon Sun & Moon. This feature allows for you to scan QR Codes on various items, including screenshots, merchandise and special promotional leaflets, in order to register Pokémon in the Pokédex. When you scan a QR Code, you will get 10 points and for every 100 points, you will be able to use the special Island Scan. With the limit, this essentially means you can do one island scan a day. There are some special QR Codes, such as those obtained from the arcade game, Pokémon Ga-Ole, which give 20 points per scan rather than 10. QR Codes are very simple to find. When you are on a Pokémon's Pokédex page and you have caught it, you have the ability to view the Pokémon's QR Code. 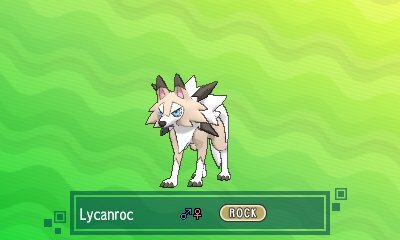 From there, you can scan it with another 3DS to allow for the Pokémon to be registered as Seen. Each form and even Shiny variants have got their own QR code and scanning them will add the form as seen in your Pokédex, even if you have yet to encounter that form in the game. 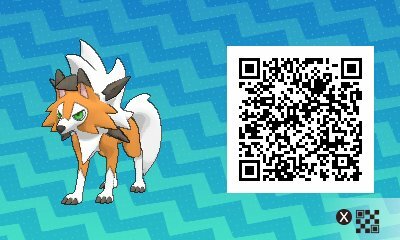 Legendary Pokémon, Mythical Pokémon and Ultra Beasts do not allow for the sharing of the QR Code. Whenever you have 100 Points accrued from scanning QR Codes, you can use the Island Scan. This feature will scan the island you're currently on for a wild Pokémon. The Pokémon you will discover here are not from the Alola Pokédex and include the starters from Kanto, Kalos & Hoenn. When the Island Scan is done, you will have 1 hour to find the Pokémon. The Pokémon change each day and each Pokémon only appears on a certain day. Each Pokémon has got a specific location so all you need to do is go to that area. Then, when in that area, the Pokémon has a chance of appearing in the grass there. Capture it and the Island Scan will be over. These Pokémon will not activate S.O.S. Battles. These Pokémon are also special in that they will have one of their Egg Moves as standard.